Celebrate the plan adoption and learn what’s next with your neighbors. This event is hosted by Dutchtown South Community Corporation with support from Rise Community Development. 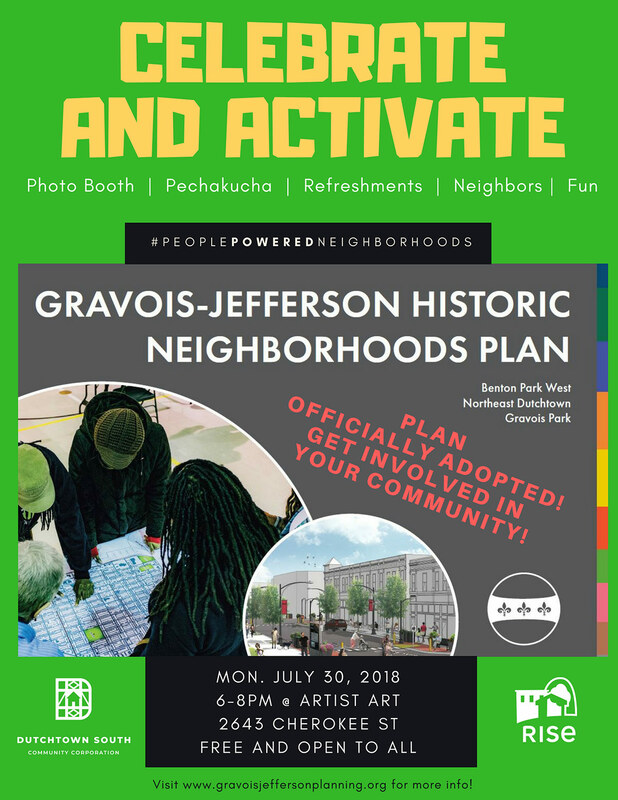 Featured will be pechakucha presentations, refreshments, a photo booth, and fun with your neighbors. This free and open to all event will be a combination between a celebration of the work already done and planning for the hard work that comes next. Come out and join us!